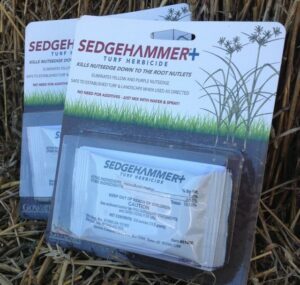 SedgeHammer Pus helps elimimate yellow and purple nutsedge and certain tough broadleaf weeds like horsetail by moving through the plant and affecting the underground growing points (rhizomes and tubers). It controls nutsedge after emergence in cool and warm season turfgrass (including St. Augustinegrass, Bermudagrass, Kentucky bluegrass, tall and fine fescue, and perennial ryegrass). 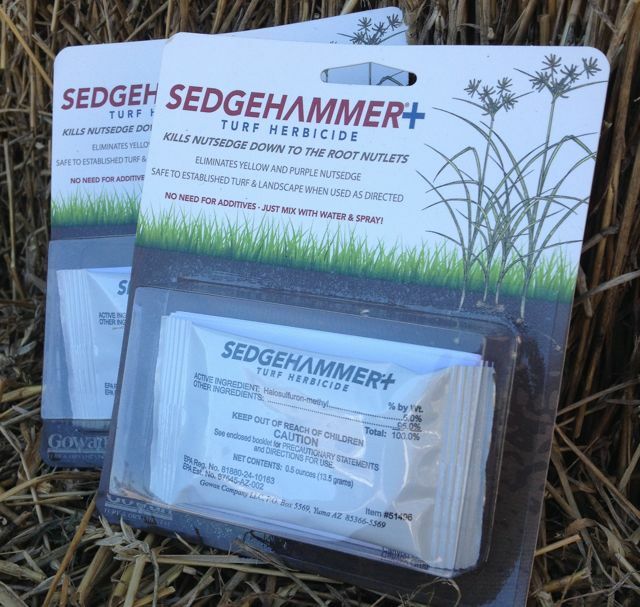 This two-pack of Sedgehammer Plus contains two of the 13.5 gram size packs which treats up to 2,000 sq ft. 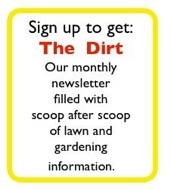 Learn more about how to control nutsedge in your lawn.